New York’s new law defines and regulates, “Mold.” “Mold means any indoor, multi-cellular fungi growth capable of creating toxins that can cause pulmonary, respiratory, neurological or other major illnesses after minimal exposure. This exposure is defined by the Environmental Protection Agency, Center for Disease Control and Prevention, National Institute of Health, or other federal state, or local agency organized to study and/or protect human health.” On January 29th, governor Cuomo signed into law, Bill s3667D-2013, New York State’s first Mold Law. Late this spring the governor’s office extended the effective date of the law to January 1st, 2016 to provide the New York State Department of Labor and other impacted programs and entities the time to properly establish the requirements. The mold law will have a minimum certification, licensure, assessment, and work practice standards. Minimum work standards for the conduct of mold remediation by a licensed person will require preparation of a mold remediation work plan that is specific to each project. The mold remediator must fulfill all the requirements of the mold remediation plan developed by the mold assessment licensee as provided to the client and provides specific instructions and/or standard operating procedures for how a mold remediation project will be performed. The mold remediation licensee shall provide the mold remediation work plan to the client before site preparation work begins. The law also establishes a baseline for post-remediation assessment and clearance. For a remediated project to achieve clearance, a mold assessment licensee shall conduct a post-remediation assessment. The NYS Mold law requires licensing of assessors, contractors, workers and a written mold remediation plan prepared by a licensed mold assessment contractor. In addition to discussing the law’s requirements on the NYS Department of Labor’s (NYSDOL) website they also provide links to the Original Legislation, Chapter Amendment and Course outlines for Assessor, Remediator and Worker programs. The NYSDOL has given the application requirements for training providers, assessors, supervisors, and workers. They have a list of approved training providers and as of November 24, 2015, the mold licensing application forms for individuals have officially been posted to the Department of Labor’s Website: https://labor.ny.gov/formsdocs/wp/shformsandpublications.shtm. We all need to be ready to roll by January 1, 2016! For more information or questions on the new mold law call or email LEW Corporation, full service environmental company, specializing in mold, indoor air, asbestos, lead, and more. 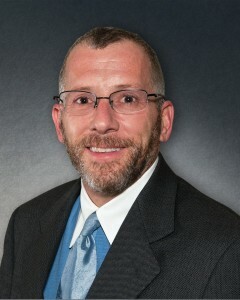 Lee Wasserman is the president of LEW Corporation, Mountainside, N.J.